Thomas Mann plays a young inventor who discovers a link to the afterlife in Anthony Scott Burns’ ghost tale. A haunted-house metaphor for the psychological perils of not dealing with grief, Anthony Scott Burns’ Our House finds three recently orphaned kids grappling with what may be a means of communicating with their parents. 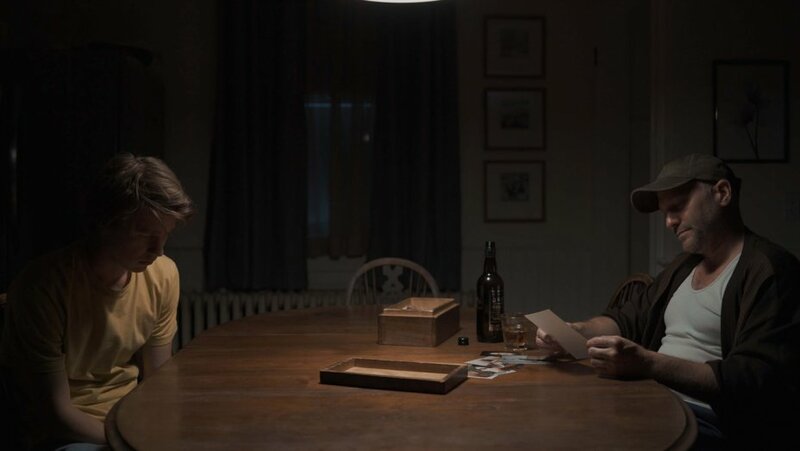 A remake of Matt Osterman’s lower-budget Ghost From the Machine — which, like this pic, had its debut at the Fantasia International Film Festival — this slow-building chiller emphasizes family bonds over scares. Though it lacks the go-for-the-throat spirit seemingly required to succeed in the broader horror marketplace these days, its sincerity and polish should impress genre die-hards, building interest for the first-timer’s next project, Come True. Thomas Mann (Some Freaks) stars as Ethan, a college student hoping to turn Nikola Tesla’s theories of wireless electrical transmission into a commercial reality. He has a gizmo built atop what appears to be an old record turntable, but repeated experiments fail to send sufficient juice through the air to a nearby light bulb. On the eve of his latest test, after he cuts a family visit short so he and classmate/girlfriend Hannah (Nicola Peltz) can return to the campus lab, Ethan’s parents die in a car crash. Three months later, Ethan has dropped out of college to care for younger siblings Becca (Kate Moyer) and Matt (Percy Hynes White). But he hasn’t given up on his invention: As he tinkers with it in the garage, Burns’ roving camera foreshadows a connection between that device and Becca’s belief that Mom is talking to her when she’s by herself. All three kids come to understand that Ethan is generating some kind of electro-portal to the afterlife. As the big brother hypothesizes, referring to measurable brain waves, “Our consciousness has a frequency, so where does all that energy go when we die?” He suspects that increasing the power feeding his invention might allow it to make their parents visible to the whole family, so he gets help from a neighbor, Tom (Robert B. Kennedy), who works for the local power utility. Then Tom starts to behave oddly, and we suspect Ethan’s device is more than just a ham radio that can talk to heaven. Apart from some creepy-looking tendrils of black smoke that accompany the story’s early encounters, Our House does little in its first half to suggest that menace lurks ahead. And we’re well into the third act before the beats of Nathan Parker’s script start matching up to what we expect from a contemporary haunted-house flick. Arguably, the film’s hard turn into Scaresville taints what has made it appealing up to this point — and certainly, a tease in its final shot is a cheap gesture toward a possible sequel. But what comes before benefits from the cast’s solid familial chemistry and an unhurried approach to the question: Should we want to talk to loved ones who’ve died, or leave them (and ourselves) in peace?